Emoji, hashtags, and photos are not on the breakfast menu. But one or more of these objects you will likely see on the menu of social media options to enhance digital communications. We can ignore using them and face the consequences. Here’s why. I spotted a beautiful bald eagle soaring overhead on my morning walk. Without a picture of the bald eagle, people will be less reactive to my message. And without the hashtag #birdwatching and location, I have a weak message. Why is it important to include a hashtag and photo? The short answer is your readers need to have a frame of reference, thus ‘birdwatching’, and, if possible, the location of where this event occurred. Social media sites like Twitter, Facebook, and LinkedIn are designed to help users create meaningful communication through photo uploading and location tagging. The following includes brief descriptions, usage tips and resources to help expand your access to these social media tools. Emoji, the picture characters like hearts and smiley faces, originating in Japanese culture, is sparking controversy among language experts. Language evolves with each new generation and it is time to consider the social iconic characters to communicate with young and old alike. Emoticons were the dinosaur predecessors to Emoji, first used in 1982. To create a smiley face, you could simply type a colon and right parenthesis. Emoticons or Emoji show how we feel. Where to find Emoji: Most apps for mobile phones and tablets include the Emoji keyboard, which is located in Settings. On a laptop, your browser and email services will include Emoji characters, but you may need to activate access. From the menu bar, select Edit and then Special Characters. Usage tip: It is best not to flood your message with hearts, bouquets, and smiley faces. Embedding one or two characters interspersed with well-constructed text will do the trick. See Apple and Google apps for more Emoji. Hashtags are a tagging tool using the # symbol and a keyword that can be tracked easier in the social media stream. Why should you use hashtags? As indicated earlier, the context of your message needs to stand out. And a hashtag enables you to get the conversation going. Social media #developers, please automate menu-driven #hashtag usage. Note: I might also tag specific developers by name, for example, using @fbplatform (Facebook Developers) and others @developer2, @developer3 to direct the conversation to these particular people. Hashtag analytics tools and trending topics will illustrate current usage patterns and ideas for hashtags. Try Hashtagify, Hashtags, or the search function (#topic) within each social media site. People are relying more on the visual quality of digital communications, especially when photos are used to supplement news and events. Imagine selling a house online without a photo and you would understand why. Video streaming has become another valuable tool but takes time to develop and takes time for readers to consume it. Usage tip: To ensure your photos or other graphical images load quickly, try compressing or resizing them first. For more photo tips, the Social Media Examiner blog offers additional references to obtain or create photo and graphical images. On that note, consider animating digital communications to help you speak the language of social media. It is changing. Are you? 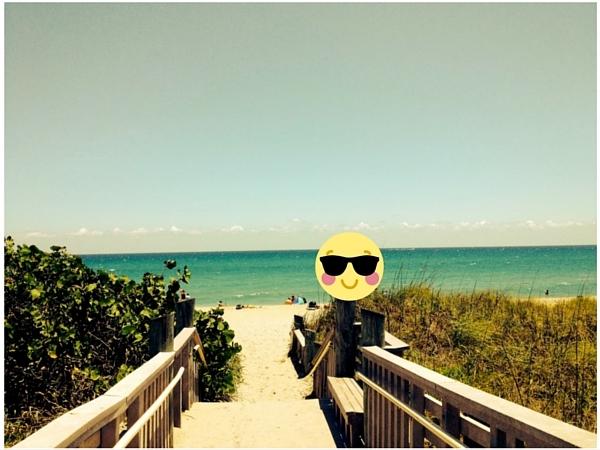 It is the reason I imagined seeing an Emoji on my #beachwalk (see picture above), which was the inspiration for this post. Maybe you can see it, too.